I’m FINALLY in a really good groove with my meals. Now that I’ve learned that I can actually season my food, I’m so much happier with the taste! I (sorta) joked with my trainer/nutritionist that he could have mentioned that about 7 weeks ago!! I eat the same thing over and over, but since I like it, I don’t mind. I still struggle with my last meal of the day (a protein shake or egg whites with side salad) because at that time of night (about 8pm) I just want a bowl of cereal. I have caved and had cheerios several times. 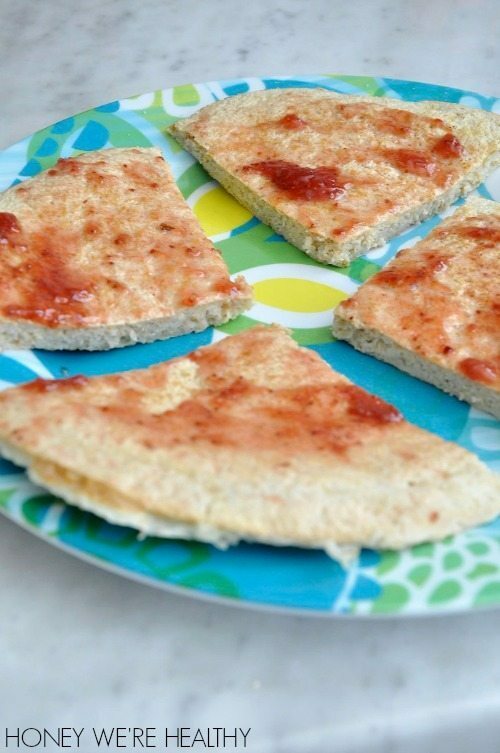 Protein Pancake: My breakfast is a protein pancake that I eat around 7:30 a.m. 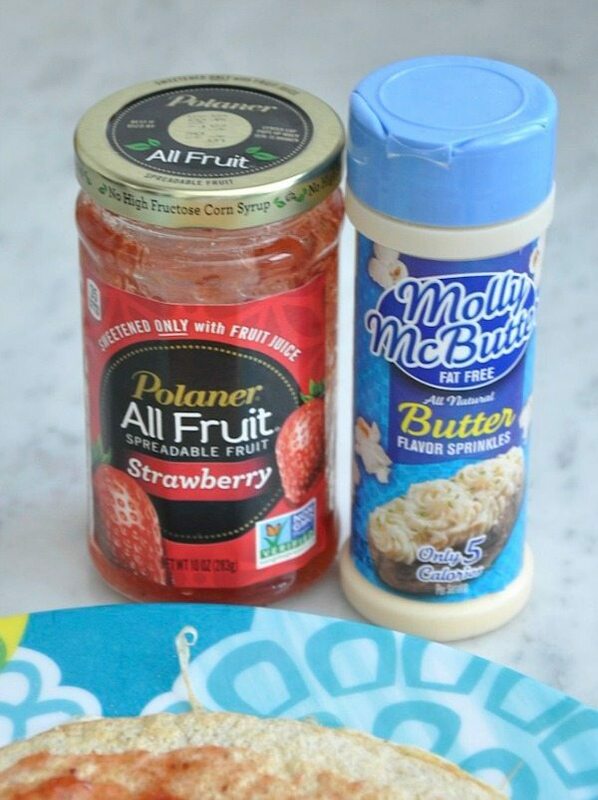 I top it with Molly McButter (butter flakes, also known as manna from Heaven after you haven’t tasted butter for so long) and all natural fruit spread (both trainer approved). My pancake is kind of like dense bread with butter and jelly. I actually love it now. I eat it like pizza. I make my protein pancake with 1/2 cup of ground oats (I buy whole old fashioned oats and grind them in the food processor) with 3/4 cup of All Whites and a splash of water- less than 1/4 cup. I used to make it with cinnamon and flax seed, but lately, have just been doing the 3 ingredients above. I make one big pancake in a small skillet. You flip it when it’s just about solid on top. After the pancake is cooked (I’ll touch it to feel that it is firm), I cut it into 4 pieces let it cool on the stove top (or a wire rack) because I found that if I put it directly onto the plate, it was still steaming and got soggy. 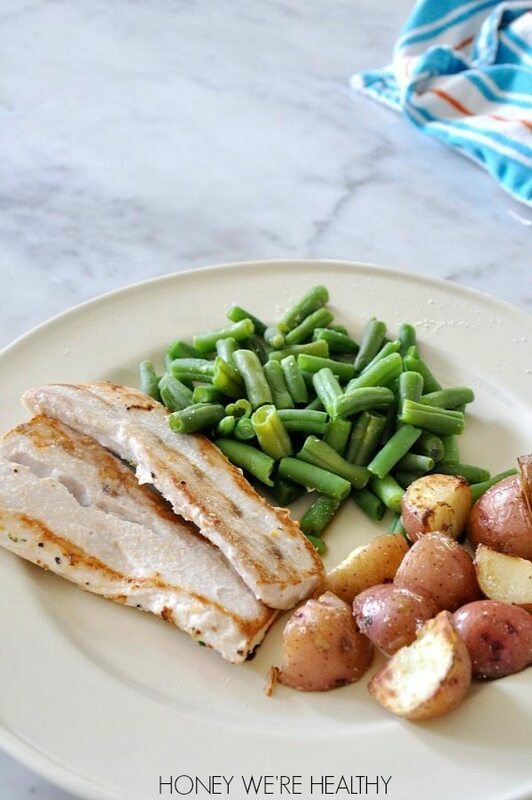 Meals 2, 3, and 4 are 5 oz of fish (mahi mahi), 4 oz of potato, and 1 cup of veggies (green beans or broccoli). I eat this at about 11:30 a.m.; 3:00 p.m.; and 6:00 p.m. 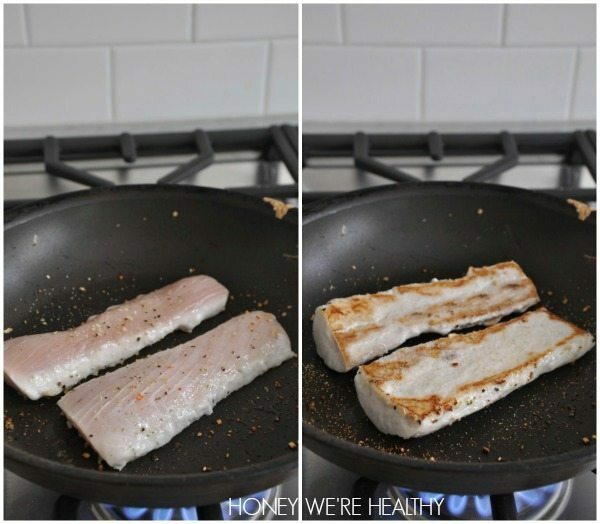 FISH: I buy individually wrapped fish fillets and defrost them in the fridge or in a bowl of hot water. In the bowl of water, they only take about 5 minutes to defrost. Then, I pat dry, sprinkle with Mrs. Dash and garlic powder and cook on the stove top on medium high heat for about 7 minutes. I’m careful not to overcook it, and take it off the heat when it’s just about cooked through so it’s still moist and juicy inside. This fish is really good and has a mild flavor. POTATOES: I wash and prick with a knife, then microwave for 4-5 minutes. Then I chop them up and toast them up in a skillet. After they are browned, I season with Molly McButter. VEGGIES: I buy big bags of frozen veggies, measure 1 cup onto a plate and microwave for 3 minutes. Then, season with Molly McButter. 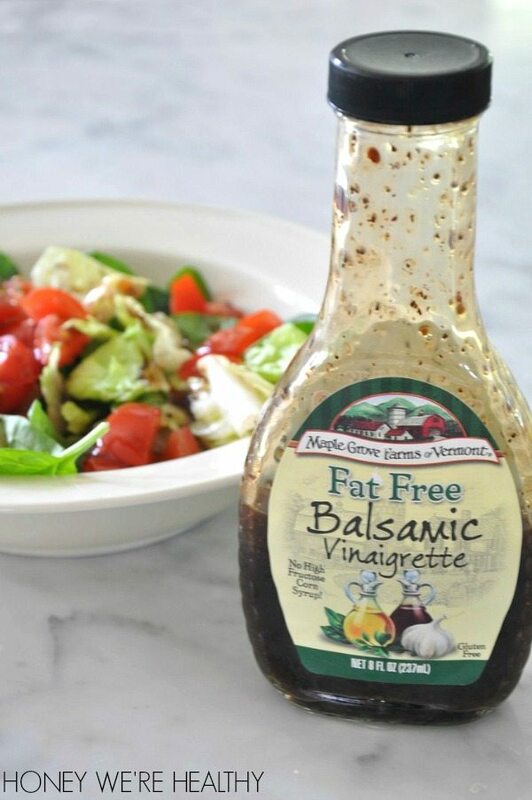 SALAD: I can also have salad (no iceberg lettuce) so I use romaine and spinach, with fat free dressing. PROTEIN SHAKE: My last meal (around 8:00 p.m.) is usually a protein shake with one scoop of protein and 6 oz of water. Until my trainer/nutritionist modifies my meal plan, this is what I’m eating. Every day, all day. My husband said he’ll do this last month with me (but he’ll do chicken and lean red meat instead of fish). He’s seen me lean up and wants to lose some weight too. I go for my bikini consult (where I choose my competition suit on Tuesday evening, so I’ll be sure to report back about that experience). Have a great week! Can't wait to see / hear about your suit. Thanks Brie! I'm curious what color they recommend. Sooooooo proud of you! Been with you on both blogs since the start of this one and even longer with your first. You're my no. 1 favorite…and I read tons! Your energy is amazing! I've started a wellness program at my office due to your inspiration. Keep it up, I'm a huge fan and am supporting all your efforts in your competition. You look so good!! xoxo-M.
Just incorporating a few times would be a good start! I've been eating protein pancakes in the morning also, but I use protein powder in mine. What's the reasoning behind no powder in the pancakes? I'm on the fence about using protein powder period (I'm typically a staunch real foodie) so always love to hear others reasoning. Thank you for this blog – it's been life changing for me!! I don't use protein powder in mine because the egg whites is the protein. Thanks for following along! hi- sorry if this is posting twice!?? In the past you talked about microwaving frozen chicken-can you tell me how long you microwave it for? thankyoU! Yum! Glad to hear you've got your groove going 🙂 I can't believe you are 6 weeks away!!! So excited for you and again, keep up the great work. You are definitely motivating me to work up the courage to sign up for a competition. Megan, thank you so much for spelling this all out for us! I'd love to know your thoughts on having fish vs. chicken for those mid day meals. (Is there a reason you don't eat chicken anymore or switch it up at all?) Thanks so much!! I just got tired of prepping and eating chicken, and found I like the fish better. 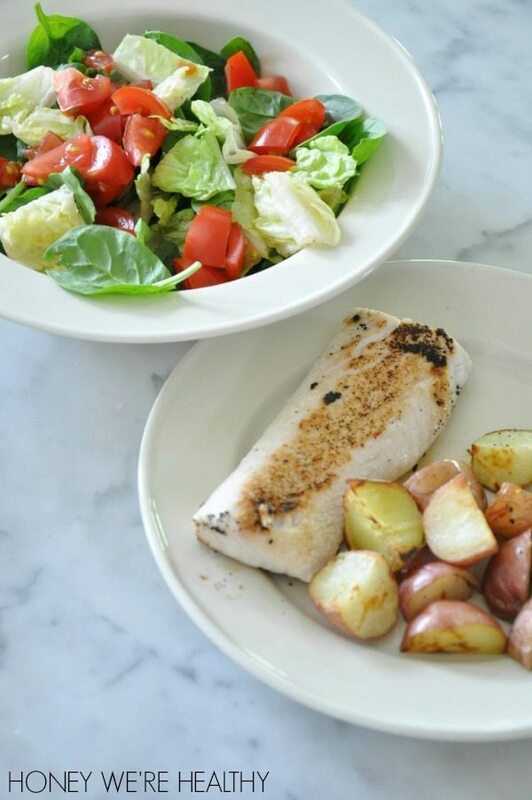 But chicken breast is a great alternative to fish and would be good if you want to switch up the protein. Do you eat snacks in between meals or is this it for all day?? If you do eat snacks, what do you eat? Hi Sara! No, I don't eat snacks in between meals. I'm not usually hungry until it's time to eat again. Thanks for letting me know! I'm glad you liked them! Loving following along on your journey. I'm not sure I'd have it in me to be so strict on the food, but would love the results if I could. Major kudos to you! Thanks Heather- I never thought I could eat like this until I realized I'm doing it! Does the fish come individually wrapped and then in a big bag like chicken breasts? I don't think I've seen them before. Where do you get them? Yes- I think it's 3-4 fish fillets in a big bag. I get mine at my local grocery store, Kroger, in the frozen seafood section- near the bagged shrimp. You are doing amazing! What strong will power you have. I do like all of the good foods you are eating, but I have trouble sticking to the clean meals when other temptations arise….for instance like Ice Cream! haha I don't know how you don't give in. Hi Megan, Do you prepare all of these meals ahead of time and reheat them as needed? I've been following along and incorporating your meals in my daily routine. I'm not training for anything. I'm just working on lowering my body fat. Thanks for sharing!! No, I'm home so I make them one at a time. It's way better to prep in advance, especially if you're on the go or need to take to work. You could prep this ahead of time and reheat though. Im going to try making the pancake tomorrow. I have been having the oatmeal with the egss on side but im getting bored. I didn't like it that way- that's why I do the pancake. With the Molly and jelly it's really good! Thank you so much for sharing all of your meals and the times that you're eating. I've been looking for an easy recipe for protein pancakes. I'm not prepping for a contest like you; however, i am getting married in Mexico in exactly 4 weeks! I've been measuring veggies, chicken, and sweet potato or brown rice for my meals. Now I have the Mahi Mahi as an alternative! Quick question… if you had to estimate how many calories do you think are in the protein pancake? Thank you! I use that app too and hadn't thought about just entering all the ingredients for it to calculate it. So it comes to 250 calories for the pancake without jelly. keep up your amazingly hard work and good luck in the competition. I love reading and see your progress! it's truly inspirational. Oh, good to know! I need to calculate my daily calories- not really sure where they're at right now! Megan, you look amazing!!! Can you tell us where you find the Mahi Mahi individually wrapped like that? I get mine at my local grocery store, Kroger, in the frozen seafood section- near the bagged shrimp. They come 3-4 in a big bag, but are individually vacuum sealed inside. Do you have any concern with mercury levels with eating that much fish, or is Mahi Mahi not an issue? Honestly, that hadn't even occurred to me until now . . . I'll have to look into that. Ok, there is a moderate risk with mahi mahi, so be careful how much you eat! Thanks for your follow up! Love watching you on your fitness journey, you are an amazing inspiration!! Watching your body transform from hot to hotter has been very inspirational. I admire your dedication. I've been looking for a new challenge lately now that I have all of this free time. Do you like your coach? Where does one find out information about fitness comps? I hope you are doing well. Keep up the amazing work! Do you fluctuate how many calories you consume based on your workouts? What does your daily calorie intake look like…I am guessing between 1200-1500? I am looking to get lean and add muscle but not sure if I should be consuming more calories on the days I work out or if that just negates what I just did in the gym! 🙂 Your advice would be helpful, your progress is so inspirational! I need to calculate this! I eat the same everyday, and workout 5 days a week. Hi Megan, thank you so much for posting this. I have 2 questions: (1) What brand of mahi mahi do you buy? I really like mild tasting fish, but am always a little terrified to buy it frozen in a grocery store. (2) What protein do you use to make your shakes? I'd love to find a female-friendly protein powder that helps me build LEAN muscle. Thank you again for all of the advice! You are amazing! Hi Brooke! I buy the grocery store brand (Kroger)- posted a pic on my instagram (@honeywerehome). I like Amplified Whey protein and Lean Body for Her. Just wondering if you have tried reheating the pancake? Want to know if I could make these ahead of time and just reheat? Thanks for posting all that you do! I love reading your blog and following you on IG! Keep up the good work! I haven't done that, but I bet you could. Would be quicker than making them fresh everyday, but that's what I do. Thank you for following along Courtney! I've stumbled across your blog months ago and periodically check in. I love it! You look fabulous and are a great inspiration for women. Your very candid and honest which I as a reader appreciate! Keep up the good work! Hey what kind of protein shakes do you use? 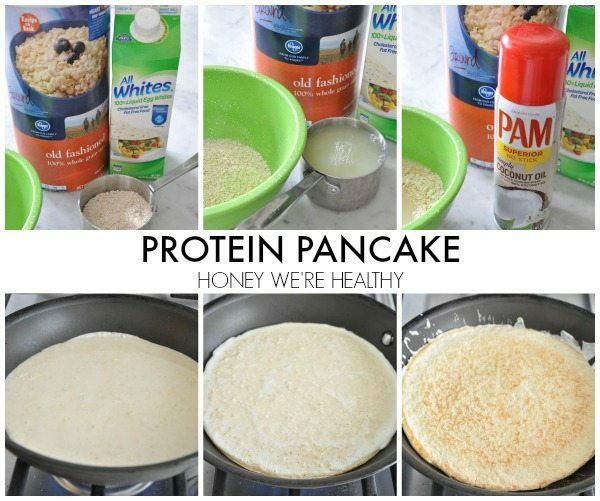 Those protein pancakes look amazing!! Hi Megan. My name is Patty and I'm a representative of B&G Foods. These recipes sound delicious! Thank you so much for featuring three of our products in your blog. This recipe is fun and we're betting full of flavor! We'd love to send you some free product vouchers as a thank-you. Feel free to email us at contests@bgfoods.com so we can ship some out to you! Wow! That sounds delicious. Thank you so much for featuring two of our products in your blog. This recipe is fun and we're betting full of flavor! Hi Megan! I'm a long time reader of both your blogs…love them! 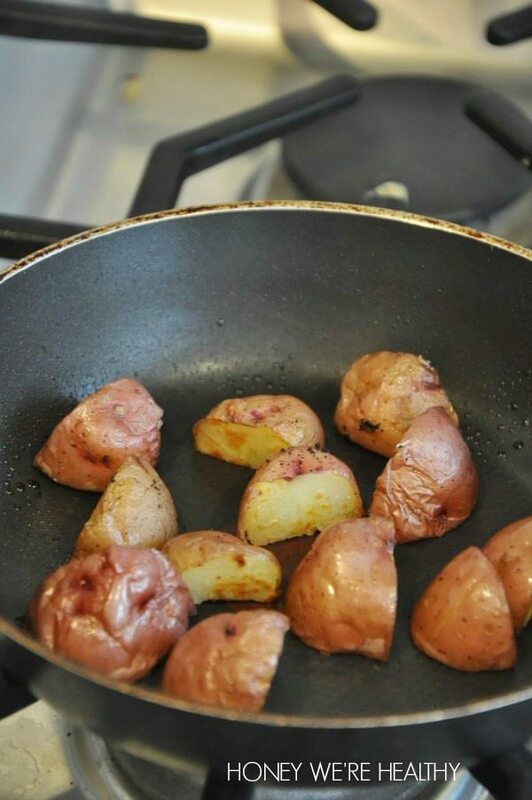 Regarding this post in particular…what kind of potatoes do you use? I just started my own fitness routine and am trying to eat healthier and cleaner and am looking for new ideas. Thanks so much!